If because of whatever reasons, you have not been able to pay your GST on time and you are worried about calculating GST interest and late fee that you have to submit then worry no more as we bring to you easy to use GST late payment interest calculator. With this GST late fee calculator online, you can find out the payments you are suppose to make to the tax department. 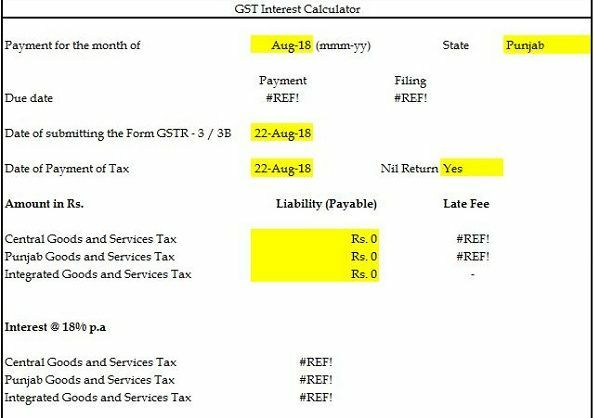 Use this free to download GST interest calculator in Excel format which helps you find out the late fee. Know the exact interest and late fee you are suppose to pay as the defaulter.